It feels like things are coming to a head in the Trump-Mueller showdown. 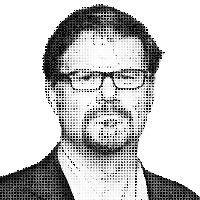 EDITOR’S NOTE: The following is Jonah Goldberg’s weekly “news”letter, the G-File. Subscribe here to get the G-File delivered to your inbox on Fridays. Dear Reader: The quickening is upon us. What I mean is that, while few people really have any clue what is going on, many are certain that It’s About to Go Down. And so the Great Loin-Girding has begun. In Green Rooms, in Editorial Rooms, in Conference Rooms of every hue and shape, and even in bathrooms where stewed bowels are uncorked like a confused drunk opening the emergency exit at 35,000 feet, people are preparing for what can only be described as the Mother of All Shinola Shows, only it won’t be shinola on the main stage. Reporters are rereading ten-year-old New Yorker profiles of bit players just so they can be ready to drop an obscure reference about a Russian oligarch. A striver at Breitbart is researching Robert Mueller’s family tree going back to the Duchy of Pomeria. Behind the scenes at Fox & Friends, things are more somber: There are a lot of prayer circles and quiet moments of solitude, as various hosts and producers stare out the window onto Sixth Avenue and ask themselves if they are ready for what is to come. Over at Morning Joe, the preparations are more animated, as they contemplate the prospect of entering Cable-News Valhalla. On the Hill, House Democrats, flush with the stench of midterm victory in their nostrils, are storming the vacated bunkers of the former majority, like Vikings sweeping into an unprotected English village or the caddies into the Bushwood pool on Caddy Day. The walls are being covered with photos of Trump and his associates, each held up by a pushpin and tied by red string to another pushpin holding up another photo and another, until a batwing-shaped web connects Trump to Vladimir Putin, the Saudi crown prince, Roy Cohn, and, thanks to Senator Cruz, both the Zodiac Killer and the real culprits in the Kennedy assassination. Over on the Senate side, Chuck Schumer walks into a conference room and spots a fresh-out-of-Harvard self-styled freedom fighter, hunched over next to an oil-drum fire, sharpening pencils with the blade of a pair of child-safety scissors. “All that hate’s gonna burn you up kid,” Schumer says. “It keeps me warm,” replies the former senior-class president, as he throws an 8-by-10 glossy of Roger Stone into the fire. Meanwhile, over at the White House, everyone is sweating like they ate gas-station sushi an hour ago and don’t have any change left for the coin-operated bathroom stall. You can’t even make a Downfall video joke without John Kelly screaming, “Stow that crap soldier!” Cigarette burns mar every desk and carpet, the smoke blending in with the stench of panic and intern urine. In the hallway, Mike Pence barges past a meeting trying to catch a chicken. No one bothers even to ask why. Stephen Miller hasn’t been seen for days, but staffers hear the familiar rapid-fire sound — whock-whock-whock-OW! — emanating from his office as he plays Mumblety-peg with the pointy-end of a Statue of Liberty paperweight. Rudy’s constant, uncontrolled, and unprovoked laugher, punctuated by broad flashes of his new teeth, is as disorienting as it is hypnotic. “It’s all going great!” Rudy says with an enormous smile, tears streaming down his face. Okay, I exaggerate — a little. But the truth is that it really does feel like things are coming to a head. For me, the answer is simple: I’m on nobody’s side. I don’t have a dog in this fight. To mix metaphors like a special blender for metaphors, I’m going to play the ball, not the man — or men. What I mean by that is that if the truth or facts or evidence is on Trump’s side, I’ll defend that. If it’s not on his side, I won’t be either. That’s not going to be true for a lot of people who, for one reason or another, have invested way too much in Donald Trump and in the idea that he deserves their loyalty. That ain’t me. I’ve spent the last couple years perhaps a bit too vexed by some of those people. I’ve finally figured out a way to make peace, in my own mind, with at least some of their behavior. In print and in podcast, I’ve been talking a lot about how the two parties are shells of what they once were and how outside groups and institutions have filled the voids left behind by their shrinkage. The parties used to choose candidates and issues. Parties educated voters. Over the last 50 years, that function has essentially been outsourced to interest groups, media outlets, think tanks, etc. As a result, the dividers between different lanes shrunk or vanished. Writers and intellectuals on the left and the right became de facto political consultants and party activists. Many political consultants acted like public intellectuals or pundits. Intellectuals became entertainers and entertainers pretended to be intellectuals. Politicians quit their jobs to be TV talking heads, and TV talking heads run for office. I look back on the last two decades, and, in hindsight, it’s easy for me to see all of it now, not just in others but in myself. Back in 2016, I didn’t understand how so many people, who had basically the same job description as I did, could reach such wildly different conclusions. Now, I feel like I understand it better. In this business, people like me wear a lot of different hats, figuratively speaking. Among the hats we wear: journalist, writer, author, TV pundit, intellectual, partisan, etc. In those roles, one can sometimes be a critic or a cheerleader for a party or a politician or a policy. The point is that most of the time, it’s pretty easy to switch out one hat for another without feeling conflicted. Making the Republican case and the conservative case often seems — or seemed — like the same thing. In hindsight, I think I was too much of a partisan during the Iraq War, but it didn’t feel like I was being partisan at the time. I just thought the party and the president deserved defending from their critics on the left. Lots of people have argued that the rise of Donald Trump was a stress test for various institutions, and I think that’s right. But whereas I once thought a lot of people failed the test, I see it a little differently now. The rise of Trumpism demanded that everybody decide which hat they were going to wear. Or to put it a little differently, they had to decide which hats were they willing to take off when push came to shove. For some people, the party hat (I don’t mean the type that kids wear at birthday parties) was the one hat that they wouldn’t take off. For others, it wasn’t so much a GOP thing as it was a populist thing. They hated the “establishment” — especially the Republican establishment — and because “Donald Trump” popped into someone’s head when Gozer demanded, “Choose the Form of the Destructor,” they went with him even though many might have preferred a different vessel. For many religious and social conservatives, they had to discard the Public Scold Hat (or at least the Credible and Morally Consistent Public Scold Hat). When you believe all of that “It’s War” crap, the only hat you’re supposed to wear is a helmet. And a lot of people, strapped one on for the cause. For others, including self-described “Never Trumpers,” they — we — chose to discard the party hat and the populist hat. I don’t know the right label for the one I’m stuck with, in part because they all sound pretentious: intellectual, journalist, conservative, whatever. I don’t know if thinking about it this way is helpful for anybody but me, but I find it clarifying and a bit reassuring. We all have lots of different roles or identities in us, and when a test comes, some people will choose one identity over another. I’m not going to lie, some people have disgusted me in how they’ve made “Trump-loyalist” their primary identity, jettisoning principles, reputation, and rationality in order to nimbly defend the guy. But a lot of people haven’t done that. They’ve simply tried to make the best out of a difficult situation. There are those on the right who very much want the coming donnybrook to be like that again. It’s possible it will. It’s possible the Democrats will overreach or that Mueller will live down to the slanders grifters on the right have concocted about him. But I doubt it will happen. This will be about Trump. And while impeachment may not be warranted, he will not look good in this fight, because his true nature — and the nature of the creatures he surrounds himself with — will once again be exposed. I’m not going to the mattresses in any of this, because I see no reason to give the president — or many of his most rabid opponents — the benefit of the doubt, never mind loyalty. The only major player here who deserves the benefit of the doubt right now is Robert Mueller. Because while we may learn that he made mistakes or overstepped, as of now, the one thing I know he cares about is the facts. About his slander-spewing right-wing critics — and to some extent his left-wing sanctifiers — I know no such thing. Update: All of the above was written on Friday, in drips and drabs, as I wended my way from Syracuse to Chicago to home. Amidst all that, I tweeted an NPR story about Donald Trump Jr. that turned out to be wrong. Some Trump defenders pounced. That’s fine. The only thing remarkable about it was that many people seemed to think that I had some deep investment in the story or that I had egg on my face for tweeting a link to a news story. I just don’t see it that way, for several reasons. The first reason, you can find above; whatever the truth turns out to be is fine by me. Second, it was an entirely plausible story. If you don’t think it’s possible that Donald Trump Jr. might lie to Congress — you’ve been watching a different show than me. But since we’re on the subject: There is this fascinating tendency among Trump’s praetorians to seize on every false or flawed news story — and there have certainly been many — as if it proves all of the stories about Trump are false. They simply aren’t. But, more to the point, some of these praetorians make it sound like they care very, very, very much about telling the truth. And yet there is precious little, if any criticism, about the president when he lies. And he lies very often. Then — when Trump lies — we get a lot of treacle about how “the American people knew what they were getting” or “he’s a disruptor” or “that’s just his style.” I concede that it’s a little bit apples and oranges. The press is supposed to be dedicated to reporting facts, and when journalists get it wrong, they should be held accountable. But the president should be held accountable too, particularly by people who are also in the press. If you only object to untruths when they are inconvenient to the president, you don’t actually care about the truth. You just want to use it to protect someone who doesn’t care about it either. Canine Update: Something very strange is going on that may have reverberations in the Goldberg family for years to come. For as long as we’ve had her, Zoë has not cared much or at all about chasing tennis balls. Even after we got Pippa, Zoë didn’t get what the big deal is. Then, this week, Zoë decided that she had had enough. The question is: “Enough of what?” Enough attention being heaped on Pippa? Enough with the incessant barking and bouncing? We don’t know. But Zoë’s suddenly interested in the tennis ball. This is Zoë’s face after she grabbed the ball from Obi, Sampson and Pippa then danced around with it for 3 minutes THEN she proceeded to bury it, and as we were walking away Pippa ran back but Zoë beat her to it and laid down on top of where she put it making stinky faces. I finally dug it up and confiscated it, and this is her at the empty burial site. She is perplexed to say the least. There’s even some late breaking video. This report suggests to me that dog economics has finally kicked in. As Megan McCardle and I once discussed on The Remnant, dogs are deeply invested in the concept of the positional good. A stick only has value because other dogs want it. That’s why, at the dog park, you’ll see a long train of dogs chasing whoever has “The Stick,” even though there are more than enough sticks for everybody. What matters is to have The Stick — or in this case The Ball — that the other doggers want. Now, it’s possible that this is just Zoë being a jerk. That wouldn’t be unprecedented. She’s a bit of a kick-down, kiss-up kind of gal. But that doesn’t explain another monumental development. On Thursday, Zoë let Pippa think that she was the “predator” in a grand game of dog-zoomie-hide-and-seek (over 77,000 views so far). We think she may be having a midlife crisis or maybe some kind of epiphany. I just hope Pippa can cope. Oh, and if you wanted to hear a genuine Carolina dog “arrooo,” this is it. Apparently, it can be triggering to other dogs, so play it in private (or send me video of them responding). The racist orcs are back! And now, the weird stuff.